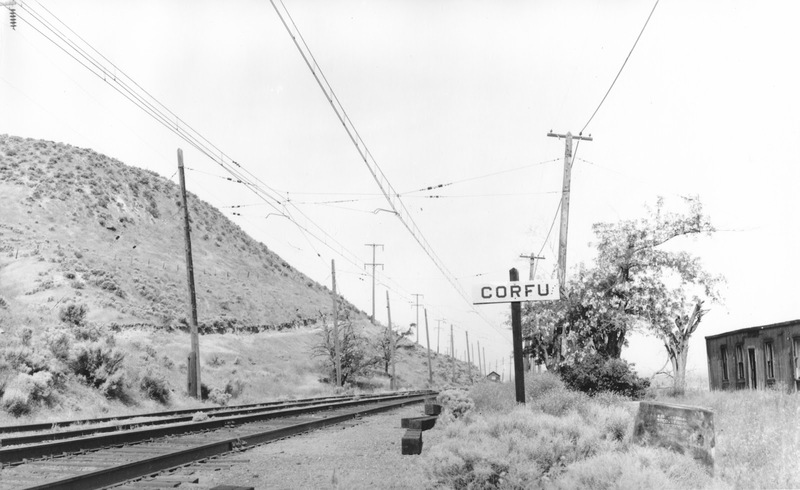 Corfu was named by a Vice-President of the Milwaukee, who also bestowed many other names on points in eastern Washington. It was named for one of the large islands off the mainland of Greece. The building on the right, in this July 1965 view, is a converted boxcar, likely used as the agent’s quarters after the depot and living quarters burned down in 1919.